"WR6_gUnUj-ztiW07KQcOCnTel9A"/> Notes From Atlanta: Amnesty for Boko Haram or Pampering of Mass Murderers? 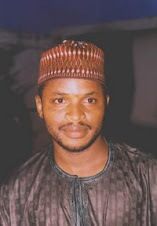 Amnesty for Boko Haram or Pampering of Mass Murderers? This column was written on Tuesday April 9 before Boko Haram rejected the amnesty offer of the Nigerian government. No issue has confounded me more deeply in recent times than “northern elders’” intensely sustained advocacy for “amnesty” for Boko Haram mass murderers—and the Goodluck Jonathan administration’s apparent willingness to be railroaded into rewarding mass murder. Is there not even the vaguest pretense to decency in Nigeria anymore? What moral code can possibly justify the granting of pardon to shadowy, nihilistic, and unrepentant merchants of deaths who traffic in the cold-blooded mass murders of innocent men, women, and children; who have rendered thousands of people orphans and widows and widowers; and who have made life a living hell for millions more? What, in the name of justice and all that is decent, can justify the mollycoddling of obdurate, demented, bloody-thirty cowards who delight in inflicting death, destruction, and misery on innocents? I am aware that there are many well-meaning people who advocate “amnesty” for Boko Haram out of a genuine frustration with the persistent violence in northern Nigeria and the apparent inability of security agencies to contain this violence. For such people, anything at all that would bring an end to Boko Haram’s sanguinary fury that has seen vast swaths of northern Nigeria drenched with the blood of innocents is welcome. “Northern elders” began to sing the chorus of amnesty for Boko Haram only when the group started targeting high-profile elites of the region with uncanny regularity. There are yet others for whom amnesty is just good old business. 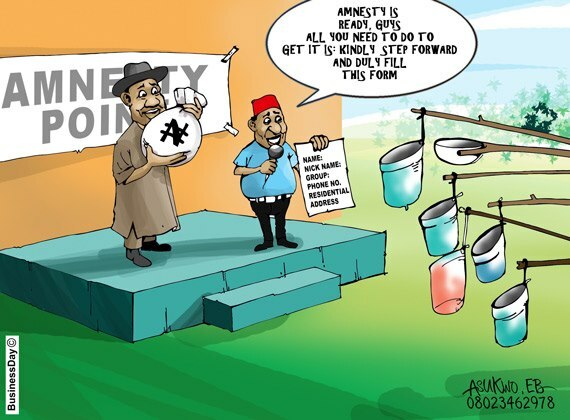 Elaborate but redundant bureaucracies will be created in the service of the “amnesty,” and billions, perhaps trillions, of naira will be shared between the as yet unidentified leaders of Boko Haram and the “northern elders” who would act as mediators between government and Boko Haram. The Jonathan administration’s interest in all this, of course, begins and ends with solid guarantees for "northern elders’" support for his 2015 reelection bid. So this has nothing to do with the north or the south (or, for that matter, with Muslims or Christians) and everything to do with the nakedly mercenary self-interests of a privileged, rapacious, self-selected few. That is why talks of “amnesty” often preclude compensation for the thousands of victims of Boko Haram violence. This is all so short-sighted and self-destructive for so many obvious reasons. Boko Haram members have never admitted guilt for their mass murders. You can’t give amnesty to an impenitent wrongdoer. 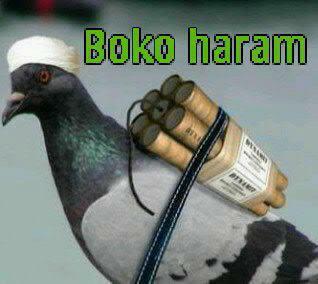 What is worse, we have no clear sense what Boko Haram’s actual grouse is. The little we know isn’t even remotely a basis for negotiation. For instance, we learn from Boko Haram leaders’ media interviews that they want President Goodluck Jonathan to convert to Islam and for the entire country to be ruled by Sharia. Those are impossible demands to grant. The Islam that Boko Haram murderers claim to be inspired by allows for religious freedom even within Islamic states. That fact is so elementary in Islam as to be unworthy of any further elaboration. So why grant amnesty to people whose demands you can never, ever meet? In any case, how do we reconcile the nature and target of Boko Haram’s terror campaign—indiscriminate murders of Christians and Muslims, children and adults, men and women, the rich and the poor, southerners and northerners, Nigerians and foreigners, etc.—with their so-called grouse? The truth is that Boko Haram is an anarchic, trigger-happy, self-abnegating group of mass murderers that derive perverse joy in death and violence for the hell of it. No amount of appeasement will mollify them. In 2011, Governor Kashim Shetima of Borno State extended amnesty to the same Boko Haram murderers some “northern elders” have become passionate defenders of. They rejected it. In rejecting the amnesty offer, the group’s spokesman told the Hausa service of the BBC that Boko Haram neither recognizes democracy as a form of government nor the Nigerian constitution as the foundation of Nigeria’s nationhood. So what inspires the confidence of “northern elders” that Boko Haram will accept the amnesty they are blackmailing President Jonathan into giving them now? Of course, when the amnesty is finally offered to Boko Haram, they will reject it, and the violence in the north will only escalate because Boko Haram members will be emboldened in more ways than they had ever been. They will interpret the offer of amnesty as a signal of government’s surrender and as evidence of their superiority. Amnesty may secure temporary reprieve for Boko Haram’s elite victims in the north, but it would never eliminate the hate, ignorance, and ideology of mass murder that gave birth to the group. Most importantly, no nation can survive ignoring its poor and spending billions to appease insatiably bloodthirsty terrorists. What “northern elders” need to do, if they are REALLY interested in solving the Boko Haram problem, is help mobilize ideational resources to defeat the ideology that gives birth to and sustains groups like Boko Haram. This is a long-term strategic initiative that will not yield immediate results, but that is worthwhile nonetheless. In the short-run, our security agencies need to be equipped with 21st century intelligence-gathering capabilities to confront and defeat these primitive monsters of depravity that have made life miserable for millions of innocent people. 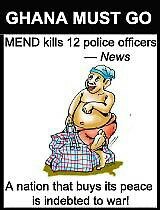 Boko Haram should never be given amnesty because they neither deserve it nor desire it. Unfortunately, in Nigeria, mass murder pays—literally.